This isn't the Magic Quadrant, these awards are for you. And everyone who submits, is a winner. That's right, every submission will be reviewed and an article detailing your solution will posted by your MPSA. Here's my take; there is no deal or solution or MPS implementation that is too small. Of course all the larger OEM's will submit, huge, global, galactic level MPS implementations. Let's see some "normal", everyday MPS Engagements submitted - its not the size its the impact that counts. Check it out, submit a your customer, your client, your process, your favorite vendor. 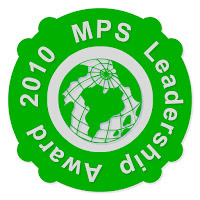 The Managed Print Services Association (MPSA) is pleased to announce the start of the 2nd annual MPS Leadership Awards for our mutual industry. These highly coveted awards provide the industries only recognition for the leaders that are helping to shape and benefit the Managed Print Services industry. See the following briefing documentthat covers the Award Categories, Benefits of Applying, and this year we have Simplified the Application Process. While award submissions can be received up until March 2010, the MPSA would like to receive your submission within the next 30 days if possible. Special thanks to the Photizo Group LLC, for sponsoring these awards and their continued support of the MPSA. QuickPage, from HP? It's not in the US, is it?